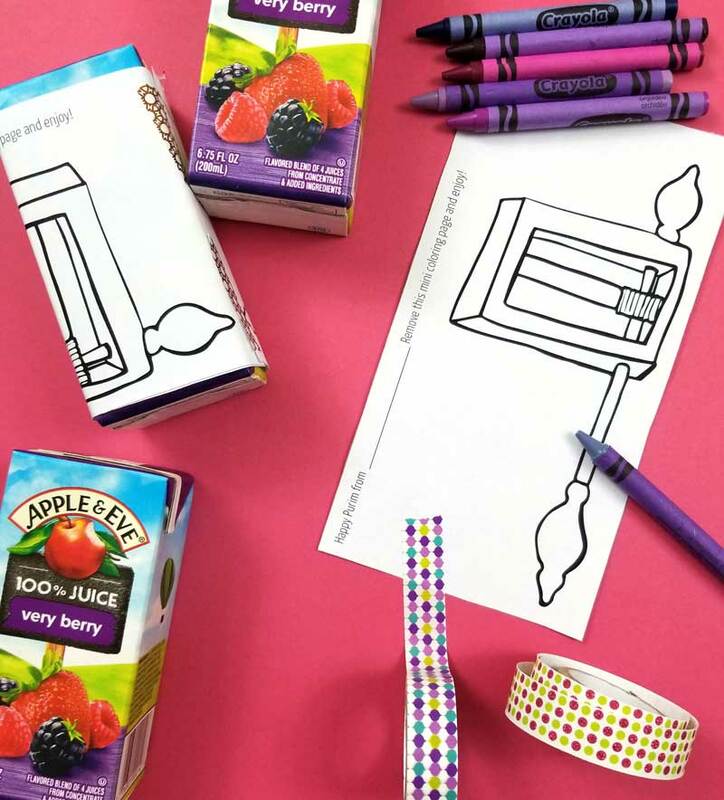 If you’re looking for a frugal and allergy-friendly mishloach manot idea for Purim, these Purim juice box wrappers were a huge hit with my son’s friends last year! 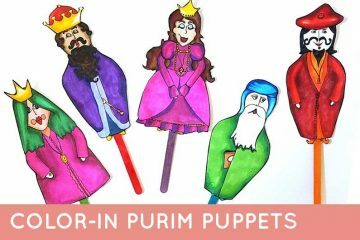 If you’re looking for another cool Purim craft for kids, check out our extremely popular Purim puppets. Disclosure, this post contains affiliate links. Purim can be an extremely challenging time for kids with food allergies, and while it can seem impossible to steer clear of the top allergens completely, there are healthier options that cater to most allergic kids too! One of our favorites that’s a huge hit with younger kids especially is juice boxes. While current research doesn’t exactly glorify juice, it’s one of the healthiest options out there that kids love. No artificial flavors, colors, dyes, no high fructose corn syrup, added sugar, artificial sweeteners, doesn’t get stuck in teeth… the list goes on. When my M’s class did a Mishloach Manot exchange get together last year where each kid brings a single food for the entire class, I knew there would be piles of junk. So I opted to bring these juice boxes! It wins on all fronts. 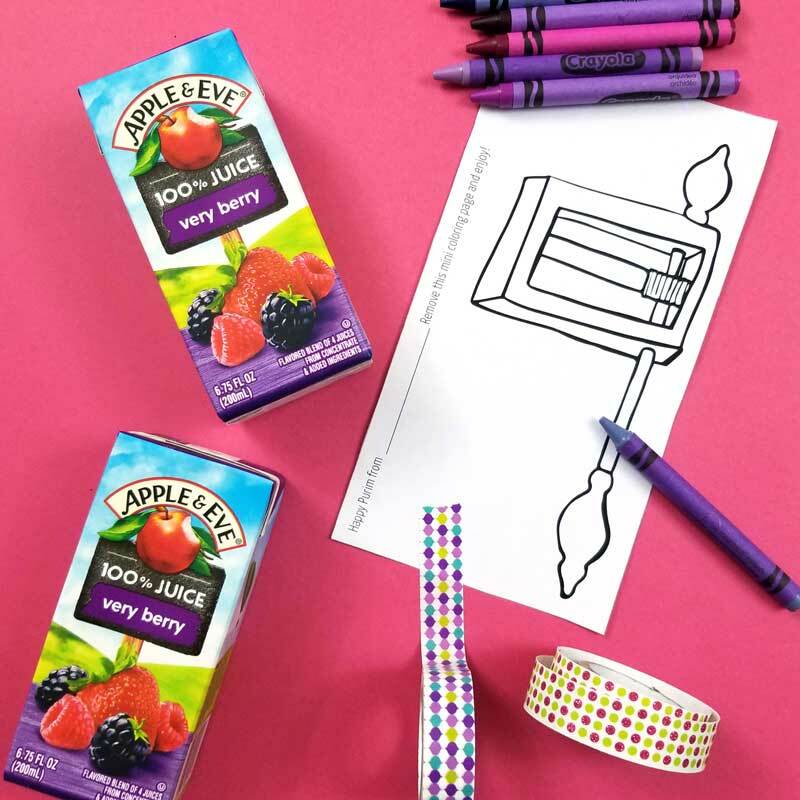 To make it more exciting, I designed these mini coloring pages, that trim to size to wrap around a juice box. You simply tape it on with a paper tape so that it’s easily removable. 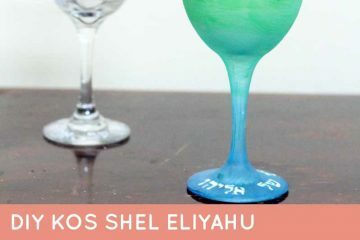 You can use these as your kids’ entire mishloach manot! While one food might not fulfill the requirements, it’s a way to downscale the craziness of Purim. The Mitzvah is to give two foods to one person and everything else is extra. Make it fit with your family theme by closing it with Washi tape or stickers that fits your theme to tape it on. 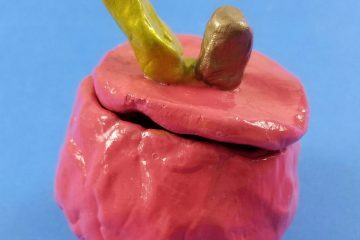 Tack on a mini package of crayons or markers, or any cool coloring implement (you can split a package and give a single one if it’s cool enough…) to make it more of a complete package. Package it with any other non-food favor for a more complete mishloach manot package. This works great for any art or artist type of theme! 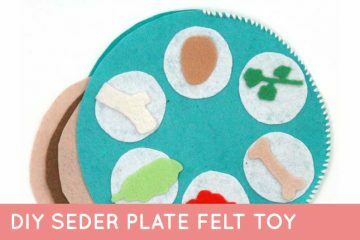 Use this as a class mishloach manot – great for toddler and preschool kids. Give it with a novelty gragger to complete a theme. Whatever you do this Purim, as a mother of a child who is highly allergic to nuts, I ask you to please be careful with what you give others! I’ve seen people complain that others are ungrateful, expect too much, but the truth is, the mother of an allergic could would most likely prefer you skip over her home entirely rather than bring something with an allergen. 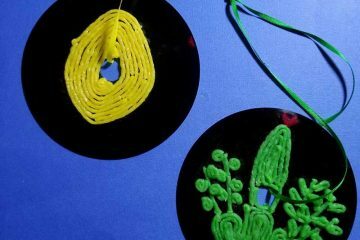 This year, a member of the frum food allergy project put together the Teal Gragger project, inspired by the Teal Pumpkin project that people participate in for an allergy-friendly Halloween. You can learn more about it here. Every child should be able to celebrate on Purim. 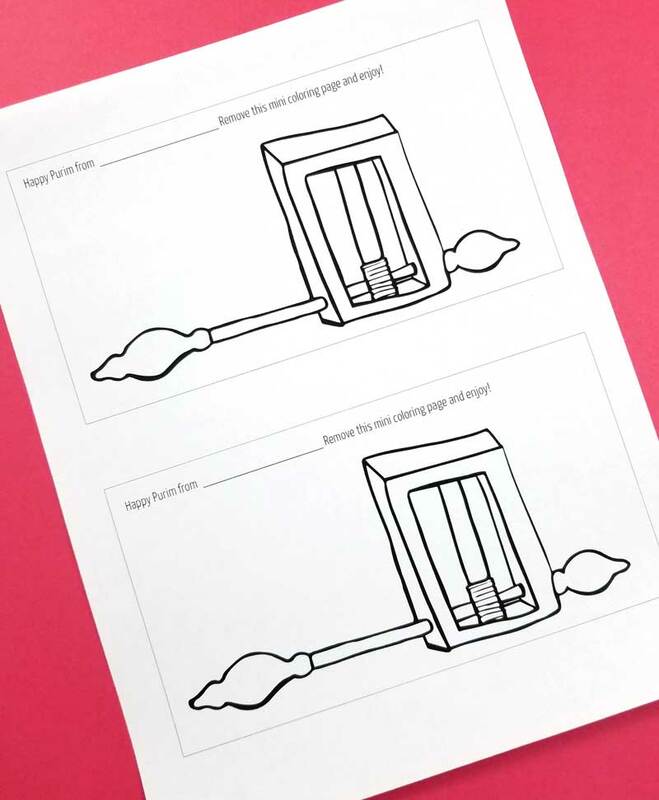 So much planning goes into themes and aesthetics – why not put a little planning into the aspect of Mishloach manot that will really enhance the family’s Purim joy? For this Purim juice box wrapper, you can use teal Washi tape. Make the contents visible from the outside by using transparent packaging. Don’t remove items from their original packaging – this way it’s sealed in case a child is highly allergic, you avoid cross contamination in your own home, recipients can read ingredients, etc. How are you using these Purim juice box wrappers? Are you bundling it with anything else? Got any other ideas for an allergy friendly Purim? Comment below! Menucha is a crafting mom of two sweet little boys - a 2 year old and a 5 year old. 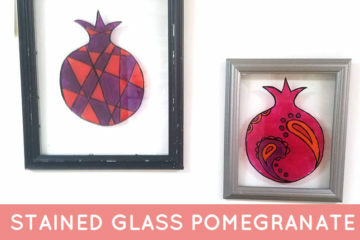 Her main blog is momsandcrafters.com, where she shares fun crafty ideas, printables, and parenting articles. 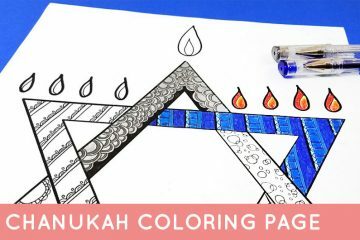 Beyond the Balagan is her passion, sharing the life behind the Jewish holidays and raising an Orthodox family with joy. 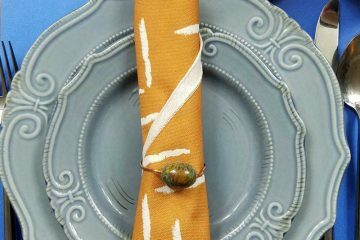 DIY Napkin Rings for your Shabbos Table!